$29.5 - PPLA has just released this fabulous tunic available in tween sizes. 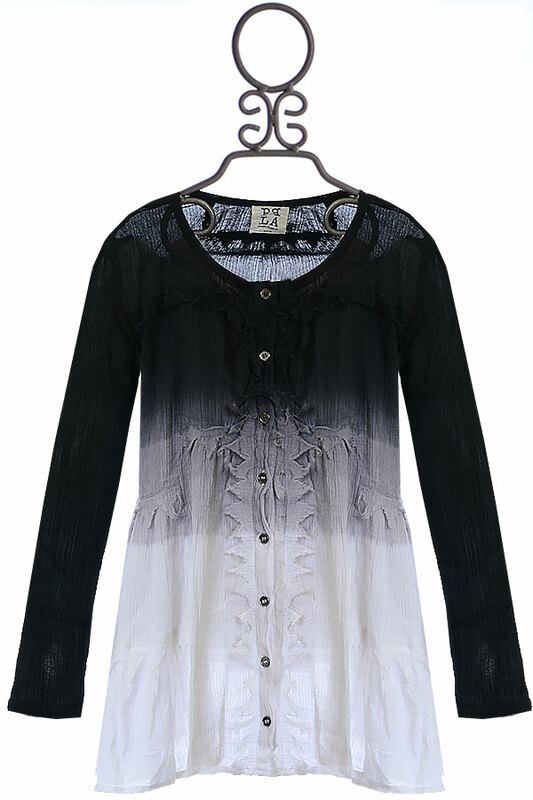 Dip dyed grey creates a fun ombre effect and a line of buttons fall down the front. Touches of raw hem adds interest and texture, covering the casual fit. 100% Cotton. Hand Wash Cold, Lay Flat to Dry. (1) SIZE SM 7/8 ONLY LEFT.